The exotic scents of tropical blooms mingle in the air and dance on the breeze in Mauritius. Designer Kenzo TAKADA captures the island's tropical paradise in his exclusive vase collection for SO/ Mauritius. 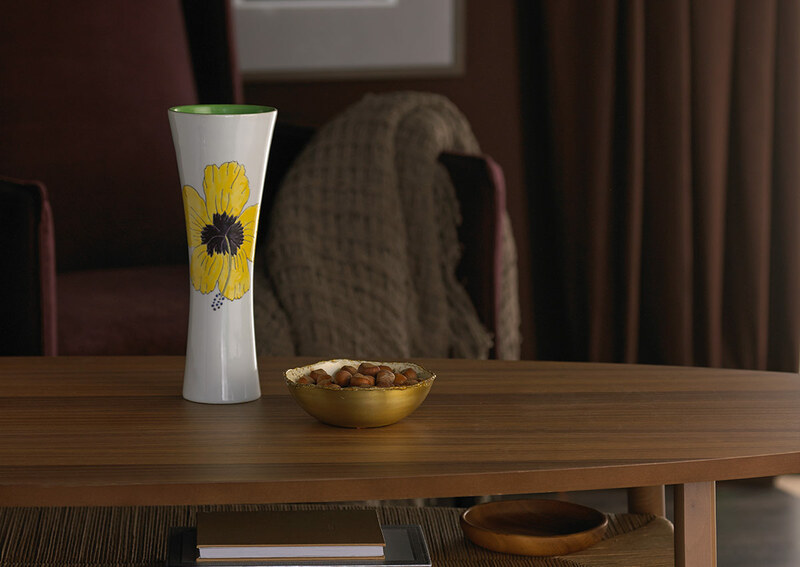 Handmade from porcelain with a hand-painted hibiscus flower, this 11 inch high vase is beautifully at home on any surface.